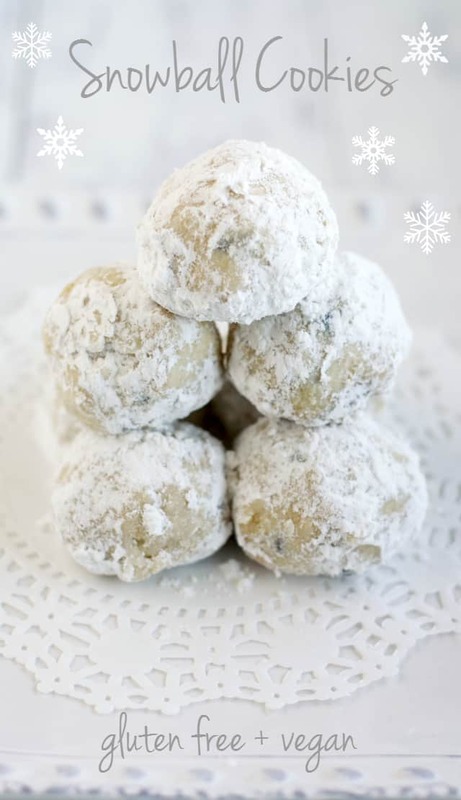 Home » Dairy Free » Vegan Snowball Cookies. 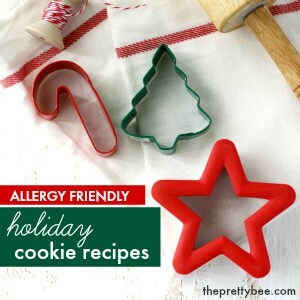 Find just the holiday cookie recipe you’re looking for! Would you like just ONE more holiday cookie recipe? Maybe you still have a little baking to do, and need a fantastically easy and delicious cookie recipe? Perhaps you would like it to be gluten free and vegan? Oh, and have a little chocolate, too? Perfect! I have just the thing. Vegan snowball cookies! We love, love, LOVE these cookies so much. This is a great cookie recipe to try if you’re short on time and need a quick, successful, allergy friendly holiday dessert. 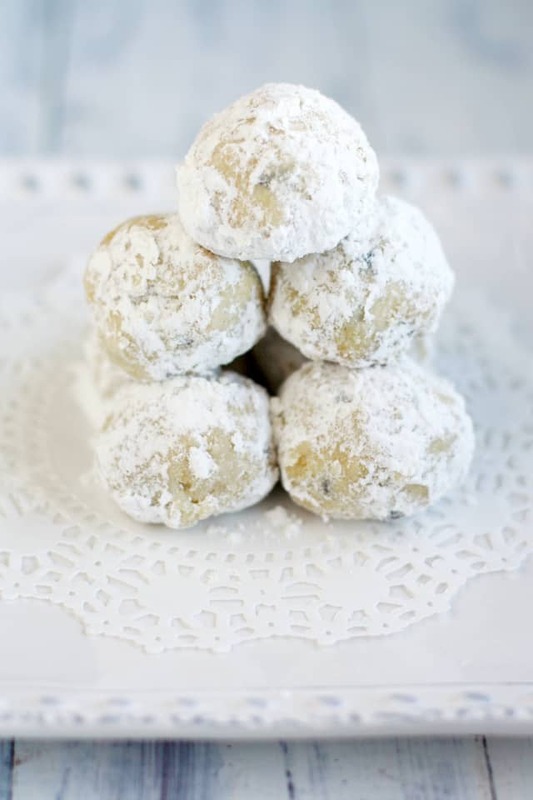 Some people like to make these snowball cookies with chopped nuts, but of course that doesn’t work if you have nut allergies. Many people add mini chocolate chips instead – and that’s the way we like these cookies. 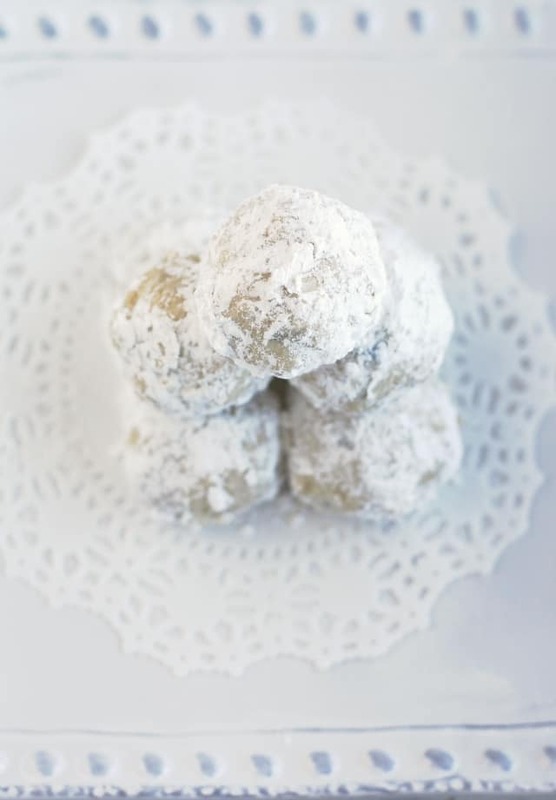 These snowball cookies without nuts are still light, sweet, and so fun for the holidays. The chocolate chips add a little more sweetness to these cookies, which aren’t terribly sweet. They are buttery and kind of like shortbread, but not as rich. I’ve made these a couple of different ways in the past few weeks. 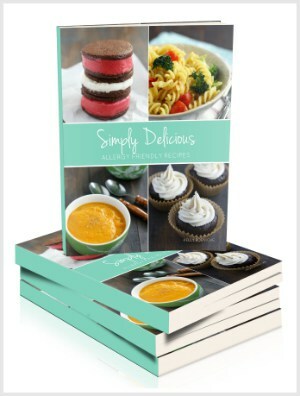 I’ve tried it with a gluten free flour blend, and I’ve tried it with white spelt flour. It does work well both ways! It would also work just fine with regular all-purpose flour, too. I did notice with the spelt flour, they spread out just a little tiny bit. Not flat, but not totally round. They tasted amazing, though. If you are not vegan, go ahead and use regular dairy butter. 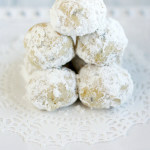 Buttery vegan snowball cookies are like little bites of heaven! Preheat the oven to 325 degrees. Line a cookie sheet with parchment paper. Put about a cup of powdered sugar in a small bowl and set aside. Cream the vegan buttery spread, vanilla extract, applesauce, salt, and granulated sugar. Reduce the mixer speed to low, and add the gluten free flour a half cup at a time, untill it is all incorporated. The dough will be very thick. Turn the mixer off and stir in the chocolate chips. Roll the dough into one inch balls and place on the cookie sheet. Bake at 325 degrees for 18-23 minutes, until the balls are golden brown on the bottom. Remove from oven and let cool for about 15-20 minutes before rolling. While the cookies are warm, roll them in the powdered sugar. Let the cookies cool fully, then roll in the powdered sugar again to get a nice white coating. 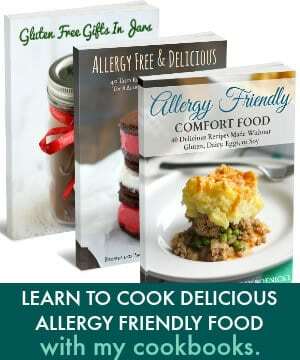 *I have made these with different gluten free flour blends. Sometimes, different brands act differently - they may be too dry or crumbly once you mix this dough. IF that is the case, add a little more vegan buttery spread until the dough comes together and you can form the dough into balls. (For example, when I use Glutino Flour, I have to add one extra tablespoon of buttery spread). These really are one of my very favorite Christmas cookies! Are you still doing any baking, or are you done? Perfect paired with hot cocoa on a snowy day! These look perfect for tea time! Could you use a non vegan butter (if you’re not vegan?) And would coconutbsugar work? Is there any chance you can email me this recipe and a few others. I can’t get them to print to be able to bring them to the kitchen to try them….Because I am sure you aren’t busy :) Thanks so much!! If I didn’t want to use the chocolate chips could I add more sweetness to the cookies by using sweetened applesauce? I don’t think you need to add anything else, they will be good without the chocolate chips. Too much applesauce will effect the texture. Hello, I would love to make your snowball cookies but would like to substitute light olive oil instead of a vegan spread. Do you think it would work? I miss these cookies since I have been diary intolerant. I don’t know if it would work, because I have never tried that. Since coconut oil is a solid when chilled, I think I would try that before I would try olive oil. Let me know what you try! If I were to leave out the chocolate chips, would it make a huge difference, do you think? I cannot have chocolate but these look so good! Can you have nuts? I think these need a little something extra in there, because they are not too sweet. Or carob chips? I cannot have nuts. I did make these without the chocolate and they were delicious! 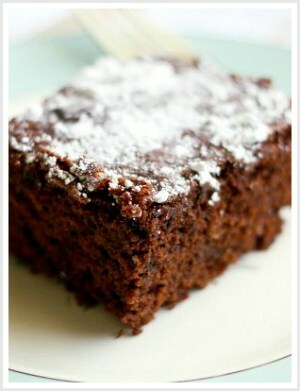 Question- I want to make these vegan, but not gluten free. 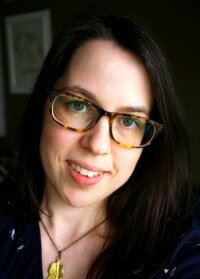 Can I swap gluten free flour for regular flour with the same result? Yes you can! When I tried them that way, they did not stay quite as round, but they still tasted great! Confectioner’s sugar is not considered “vegan”, is it? I think animal bones are used in the processing. I have made confectioners sugar by grinding regular sugar in a blender. Hope your boys feel better soon! Being sick this time of year is definitely no fun! I had similar cookies last night! Now I want more of them. ;) Perfect timing with this recipe! I make these every Christmas, they are one of my absolute favorites! Awww sorry to hear the babes were sick! Hopefully they’re better now just in time for Christmas festivities! These balls look ah-mazing! Snowballs/Mexican wedding cakes were always my fave to bake with my mom growing up. LOVE that they’re vegan and GF! You wizzard!